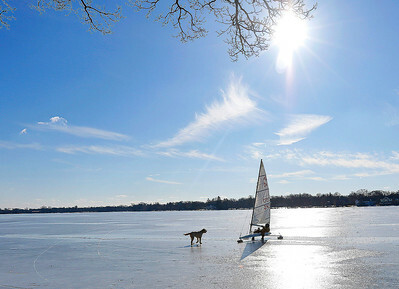 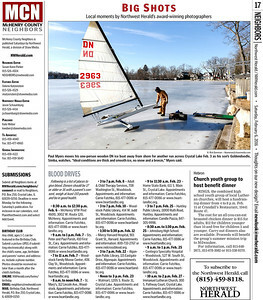 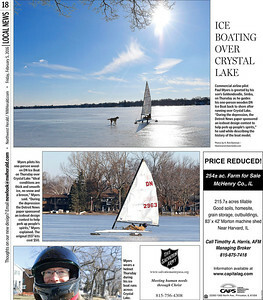 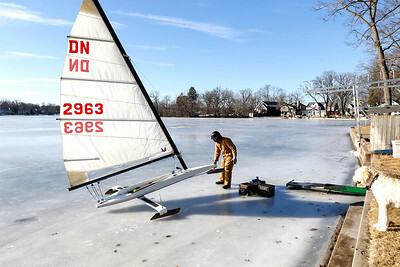 Paul Myers moves his one-person wooden DN Ice Boat away from shore for another run across Crystal Lake as his son's Goldendoodle, Simba, watches on Thursday, Feb 3. 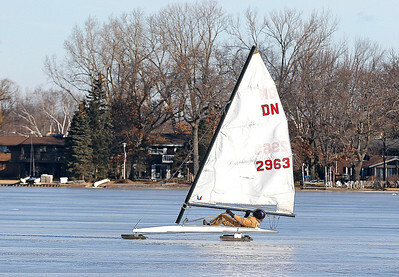 "Ideal conditions are thick and smooth ice, no snow and a breeze." 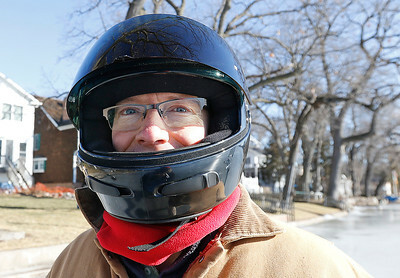 Myers said.